Once upon a time in a land of friendship and fun, a fairy-tale celebration had just begun! 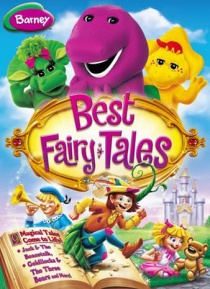 In this collection of enchanted stories, Barney, BJ(tm), and Baby Bop(tm) share their favorite tales about Goldilocks, Elves, Tortoises and Hares. Let your imagination unfold as you delight in new dances and plays, and learn that no one is too big or too small, but that everyone is perfect just the way they … are! With your beloved dino friends by your side, you'll be sure to live happily ever after!